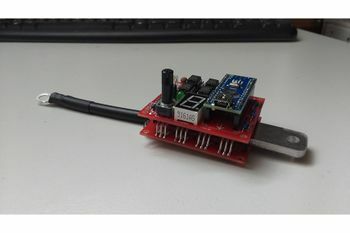 The Arduino Battery Spot Welder is designed by Kaeptnbalu. This Arduino Nano based Spot Welder for battery welding, can by used for small objects like nickel stips at the common used 18650 batteries. For more details I recommend to look at Tindie. I did collect most materials at the moment. The only thing is time and courage. This page was last modified on 30 December 2017, at 23:29.